All organisations by law must ensure that they have a sufficient number of employees who possess a first-aid qualification to fulfil their first-aid requirements at all times. The Emergency First Aid at Work Level 3 training course will ensure delegates are trained to perform emergency first aid safely efficiently in the workplace. How to manage a casualty with minor injuries. What is the Emergency First Aid at Work Level 3 Course? To keep a work place safe in case of an emergency, an appointed first aider must be present at all times. This first aider will be in the form of a member of staff who has been trained to give the necessary first aid if and when required. This employee would have received Emergency First Aid at Work Level 3 training to be have been authorised to carry out first aid procedures and follow the relevant practices involved. Depending on the size and type of business, organisations can have multiple first aiders at any one time. The role of a first aider is to give someone first aid assistance, while making sure that they and anyone else involved are safe and that they don’t make the situation worse. This can vary from performing mouth-to-mouth resuscitation, to applying a plaster on a work colleague who has accidentally cut themselves. What is the Health and Safety (First Aid) Regulation 1981? The Health and Safety (First Aid) Regulation 1981 requires all employers to make arrangements to ensure their employees receive immediate attention if they are injured or taken ill at work. This includes carrying out a risk assessment, appointing a suitable amount of first aiders and providing appropriate first aid training. During the Emergency First Aid at Work Level 3 training course, delegates will develop basic first aid trainings kills and knowledge needed to deal with a range of emergency first aid situations. This includes: managing an unresponsive casualty, CPR, choking, shock, wounds and bleeding and minor injuries. These skills are necessary in maintaining a safe environment in the work place. During the Emergency First Aid at Work Level 3 training course, delegates will need to complete multiple theory assessments as well as continuous formative assessments conducted throughout the course. This will also include practical assessments throughout the course. Successful delegates who have completed the Emergency First Aid at Work Level 3 training course will receive a Level 3 Award in First Aid at Work certificate. This certificate is valid for three years. Individuals wishing to retain their status as a first aider in their place of work must re-qualify and retake the Emergency First Aid at Work Level 3 training course up to six months before the certificate expires. Q. Who is the Emergency First Aid at Work Level 3 training course aimed for? The Emergency First Aid at Work Level 3 training course is aimed at learners who wish to become emergency first-aiders in the workplace. Q. 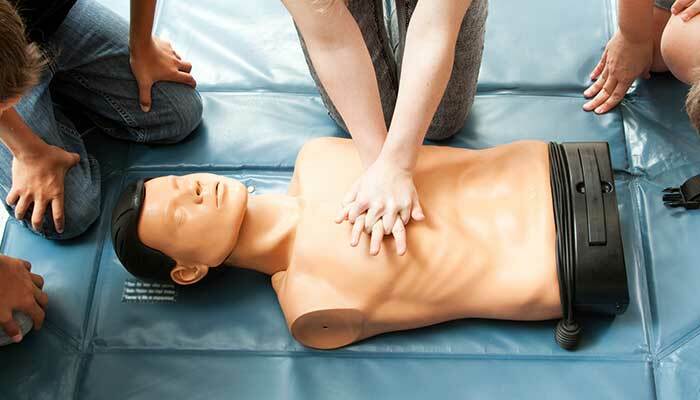 Can I be a first aider at work once I complete the Emergency First Aid at Work Level 3 training course? Yes. delegates can be assigned first aider at their place of work once they have successfully completed the Emergency First Aid at Work Level 3 training course. Q. How will I be assessed throughout the Emergency First Aid at Work Level 3 training course? Q. What will I receive at the end of the Emergency First Aid at Work Level 3 training course? Successful learners will receive a Level 3 Award in First Aid at Work certificate. Q. How long is the Level 3 Award in First Aid at Work certificate valid for? The Level 3 Award in First Aid at Work certificate is valid for three years. Q. Will I need to do a refresh course? Yes. Individuals wishing to retain their status as a first aider in their place of work must re-qualify and retake the Emergency First Aid at Work Level 3 training course up to six months before the certificate expires.